To new faculty, students, and staff, welcome! And to returning members of the community, welcome back. While we can hope for a few more glorious weekends of late-summer weather over the next month and a half, we've already felt that fall snap in the air, and our academic year has begun in earnest. At the start of the year, perhaps more than at other times, when I enter the Main Group at 77 Massachusetts Avenue I cast my eyes upward and am freshly inspired by the statement of MIT's mission that rings the dome: "Established for advancement and development of science, its application to industry, the arts, agriculture, and commerce." As we continue to advance our founding mission through education and research, I hope that everyone in the MIT community will feel proud of our many successes in the last year, and inspired to carry that momentum forward into the coming year. The strength of MIT depends on our exceptional faculty and students, and those arriving this fall will continue our tradition of excellence. Last week I had the good fortune to welcome the new members of our faculty. They bring to MIT remarkable accomplishments and represent in a real way our ongoing commitment to attracting talent from diverse backgrounds. Of the 52 members of the faculty hired since last fall, 19 (36.5%) are women and 6 (11.5%) are members of underrepresented minority groups. One way to measure our progress is to recall that last fall, women constituted 18% of the faculty, and underrepresented minorities 4%. We also extend a special welcome to this year's 8 Dr. Martin Luther King Jr. Visiting Professors and Scholars, a greater number than in any previous year of this program. As the Provost and I announced to the faculty last week, we will establish a new position of Associate Provost for Faculty Equity in the Provost's Office to build on our momentum and accelerate our progress in enhancing the diversity of the faculty. The Class of 2010 is every bit as remarkable as its recent predecessors. Applications for the Class of 2010 increased 9% over the previous year, to an all-time high of 11,373, and 67% of those accepted chose to enroll – another record. Of the 1,005 exceptional students now enrolled as MIT freshmen, 44% were valedictorians, and 89% graduated in the top 5%, of their high school classes. They come from 49 states, 2 territories, and the District of Columbia, and from 51 foreign countries; 46% of them are women, bringing our undergraduate population to 44% women. Over the summer, a number of leadership changes have brought new faces and new strengths to the Provost's Office. At the beginning of July, Professor Philip S. Khoury left the deanship of the School of Humanities, Arts, and Social Sciences to serve as Associate Provost. At the beginning of August, Professor Alice P. Gast left MIT to assume the Presidency of Lehigh University. Associate Provost Claude R. Canizares has succeeded Dr. Gast as Vice President for Research and Associate Provost, while Professor Lorna J. Gibson took on a new role as Associate Provost. Professor Khoury will oversee MITs programs in the arts, work to strengthen major interdepartmental initiatives, and help to develop and implement a strategic plan for our international engagement. Professor Canizares will have overall responsibility for research policy as well as oversight of several major interdepartmental laboratories and centers and of MIT Lincoln Laboratory. Professor Gibson will be responsible for academic and space planning and for faculty affairs; she will also play a lead role in issues involving graduate education, working in close collaboration with the Graduate Students Office. Associate Dean Deborah K. Fitzgerald is serving as the Interim Dean of the School of Humanities, Arts, and Social Sciences. And Professor Steven R. Lerman, who served as Chair of the Faculty from 1999 to 2001, has generously and graciously agreed to serve out Professor Gibson's unexpired term as Chair this year. In June, the Provost announced that Dr. Eric D. Evans would succeed Dr. David L. Briggs as the next Director of MIT Lincoln Laboratory. And I announced that Director of Resource Development Stephen A. Dare would serve as Interim Vice President for Resource Development. We continue to develop the financial resources needed to sustain excellence. 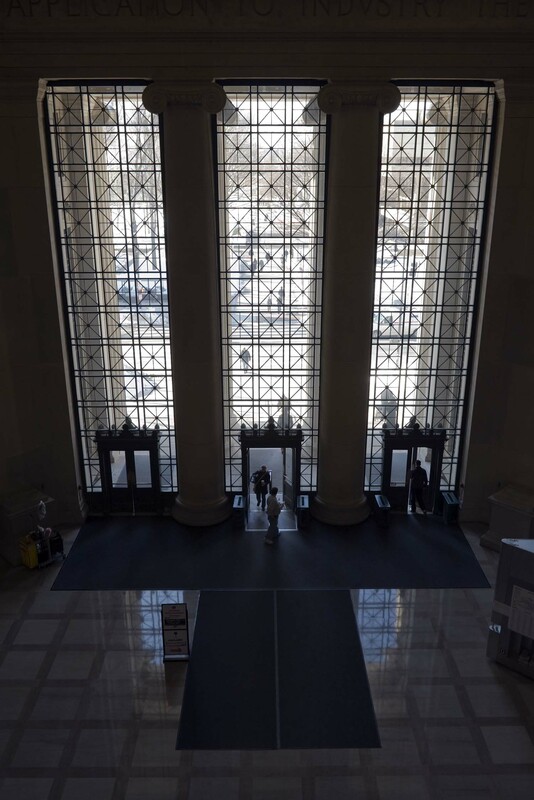 Private support plays a critical role, especially in allowing us to maintain financial policies that make MIT accessible to all admitted students – policies such as the MIT Pell Matching Grant established last spring. During the past year, we built on the extraordinary pace in fund raising achieved during the successful Campaign for MIT. The Class of 2006 set a marvelous example with its Senior Gift: More than 50% of the class made gifts or pledges, vastly exceeding the previous record of 39% participation. Resource Development also had a banner year, reaching the second-highest level in the history of the Institute for both cash receipts and new gifts and pledges. New gifts and pledges topped $300 million – up more than 40% from the previous year. The successful transition to a new payroll system at the beginning of July marked a significant milestone in our continuing implementation of state-of-the-art administrative systems. Large-scale system transitions always carry the potential for disruption, but feedback from the community has been very positive. One staff member in the Office of the Dean for Student Life went so far as to say, "I really LOVE the new time sheet system. Thank you so much for all the hard work put in by everyone involved to get this up and running. GREAT job!" Staff throughout the Institute – not just in Information Services and Technology, the Payroll Office, the HR-Payroll Service Center, and Human Resources, but reaching through many academic and administrative areas – collaborated on this complex implementation, and its success depended on the participation of the community in countless ways. Controller James L. Morgan played an absolutely critical role in leading the effort; special thanks also go to Charlotte Watson of the HR-Payroll Service Center and Leslie Wright in Payroll, who helped ensure broad understanding and participation in the project. This is truly an example of how collaboration among administrative and academic departments can drive MIT's success. A working group led by Executive Vice President and Treasurer Sherwin Greenblatt is now turning the important recommendations of the Task Force on Medical Care for the MIT Community, issued last November, into action. Information on the progress of the working group is now available online at http://web.mit.edu/task-force/medical/. In the challenging context of the current healthcare environment, we must focus our resources where they are most needed and where they can create the greatest impact. The working group will issue its next progress report in October. Progress continues on projects that are transforming the northwest sector of the campus. Site work is now underway for the new graduate residence at 235 Albany Street (building NW35), which is scheduled to open in late summer 2008. This new building, designed by the award-winning firm headed by alumnus William Rawn (M.Arch., 1979) will provide housing for more than 550 graduate students, with social facilities and courtyard spaces that will further strengthen the vibrant graduate community emerging in the neighborhood. When NW35 is complete, more than 1,700 graduate students will live in the northwest campus; to strengthen this emerging graduate community, we have involved the other graduate residences in our planning for NW35. The development of NW35 represents an intensively collaborative design process that has brought together students, faculty, and staff and has generated a strong commitment to sustainability as well as to community building. Efforts like these will advance our goal of knitting together our residential and student life activities. We will begin another project that will also enhance the community in the northwest part of campus in a few weeks, when we will break ground for the second phase of the renewal of Vassar Street, extending the renovation of the streetscape through the campus west of Massachusetts Avenue. The project will make the entire length of Vassar Street bicycle-friendly and pedestrian-scaled. We are enormously grateful to the family of Corporation member Richard P. Simmons '53 for making possible a project that will unify the campus visually and improve the quality of student life. In the spirit of service that defines MIT, members of the Institute community have engaged in efforts to repair the ravages of Hurricane Katrina, which struck New Orleans and the Gulf Coast just over a year ago. Among them is a team from the Department of Urban Studies and Planning that was recently selected by the US Department of Housing and Urban Development to help plan a new 900-home development in the historic Treme/Lafitte neighborhood. The $35-million project aims to re-house the former community in a manner that is equitable, affordable, and sustainable. Katrina reconstruction efforts are just one of the many ways that MIT serves the nation and world, and, while no single ranking system captures accurately all that a university does well, it was a pleasure to see our commitment to service recognized recently by MIT's number-one ranking in Washington Monthly's annual survey. An essential complement to service is leadership, and one of our critical tasks as an educational institution is to offer students opportunities to lead and to reflect on and learn from those experiences. We are working now to bring greater coherence and visibility to these opportunities, and to increase their range and depth. International experience has a particularly important role in educating leaders for an increasingly globalized world. My own travels last year brought home to me that MIT is viewed around the world as a model for the university of the future. Our own international programs have continued to flourish. The pioneering MIT-China Management Education Project sponsored by the MIT Sloan School of Management celebrated its tenth anniversary in June. In July, Singapore's Research, Innovation, and Enterprise Council approved a new concept for a major collaborative research initiative, the Singapore-MIT Alliance for Research and Technology (SMART) Center. The SMART Center is expected to launch its first research programs during this academic year. As we look ahead to the new academic year, we can anticipate continued progress on crucial initiatives. In May, the Institute-wide Energy Research Council released its recommendations on how to amplify and build on MIT's current strengths and growing interest in energy supply for the developed and the developing world. The Council highlighted three broad areas: developing new technologies for global energy systems; making today's energy systems more effective, secure, and sustainable; and fueling a rapidly developing world. Enthusiasm for tackling energy challenges is evident all across campus. In one example this summer, the student-initiated and -driven MIT Vehicle Design Summit brought together student solar car designers from 21 universities to develop vehicles capable of traveling at least 500 miles on a gallon of fuel. We will capitalize on the MIT community’s enthusiasm for energy-related work as we move ahead to implement the ERC’s recommendations and will announce details of the next steps in this important initiative in the coming weeks. In July, Dean for Undergraduate Education Daniel E. Hastings announced administrative and organizational changes in response to a DUE-wide strategic plan that will strengthen the work of his office and support the implementation of the forthcoming recommendations of the Task Force on the Undergraduate Educational Commons. The new organization will further strengthen the office’s connections to faculty and its outreach to students. Dean of Science Robert J. Silbey and his colleagues on the Task Force will soon complete the final draft of their report, and will present their conclusions at the October meeting of the Faculty. Their work will ensure that MIT's undergraduate education gives our students the knowledge and experiences, as well as the curricular flexibility, that they need to become leaders for the nation and the world in the decades ahead. This great Institute has a unique impact on the world – in generating new knowledge, in fueling innovation, and in educating the next generation of leaders. I look forward to working with all of you this year, as we continue to bring knowledge to bear on the world's great challenges.